Do you have a couple of gift cards in your wallet and not sure what to do with them? Well, now you can convert gift card to bitcoin. Can I Buy Bitcoin with a Gift Card? Many buyers of Bitcoins remain uninformed about this avenue even when they have gift cards that they are not using. You can, for example, buy BTC with Walmart gift card. The great part is that gift cards from almost all retailers work for the exchange. It doesn’t matter whether they are from Amazon, eBay or Bread Panera, anything will work. In fact, even Master Card or Visa gift cards will work just as well and allow you to easily buy Bitcoins. 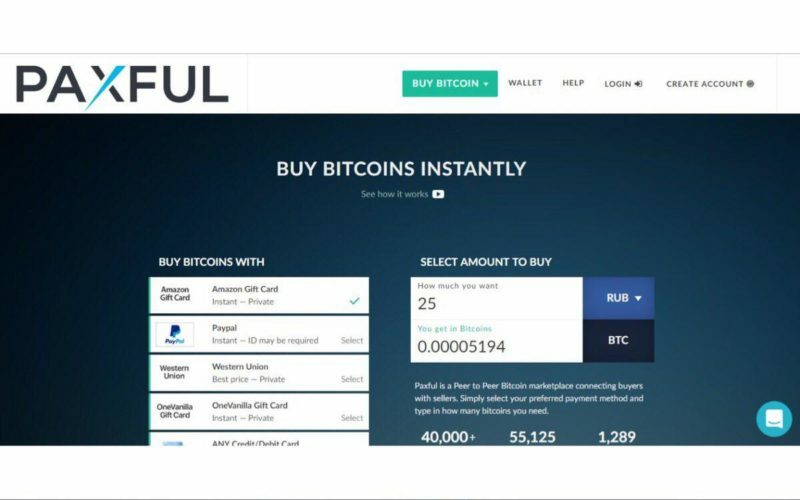 In Paxful and other exchanges, sellers ask for a physical card and for the purchase to have been made with cash, as they don’t usually accept e-code. The code that appears on the card and on the receipt must match (you must send a picture). When the seller redeems the code in the store, he will pay you back in crypto coins. The entire operation will be registered in the platform, which also acts as an intermediary. You’ll be able to find several sellers who sell gift cards for bitcoins in the United States in Paxful, and most of them promise a quick person-to-person transaction. The sellers will ask for a photo ID, for the receipt or to only trade physical cards. They will prefer prepaid non-rechargeable cards that were purchased with cash. To close the deal, you’ll need to send them the card’s expiration date and CVV code. Once the seller checks the balance, they will transfer the BTC to your wallet. Sellers are more willing to accept physical cards than electronic codes (USA iTunes), with balances that do not exceed $ 100. To start the deal, contact the seller and state your balance. Once they accept the deal, you’ll need to send them a clear picture of your card. The seller will check that everything is correct and then release the bitcoins, which will be deposited directly into your wallet. In this case, you’ll be able to find sellers who accept E-codes and balances over 3000 USD. Contact the seller and indicate the balance you want to exchange. Send your card’s code, add an image of the email Apple sent you or a picture of the physical card. For high-value transactions, the bitcoins will be released only when the card has been verified. So let’s get in and see some of the services that allow you to buy bitcoins with a gift card. 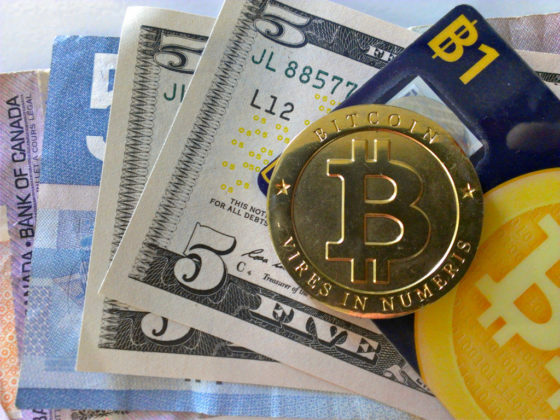 LocalBitcoins is one of the most famous Bitcoin peer-to-peer trading platforms. It is based in Finland and has been functional since 2012. 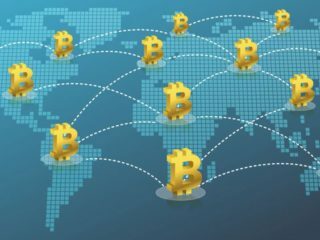 It is a very reputed site to buy bitcoins from sellers around the world. And the good news is, it supports more than 30 payment methods including dealings in iTunes gift cards! LocalBitcoins does not have any restrictions. You can try to sell gift cards for BTC, even if they were issued by an unpopular store. It is difficult to say how much money you will get for the card. The price usually goes down, on average about 50 percent on this service. However, it is still better than just keeping a useless card in a wallet. Paxful is like eBay for cryptocurrency. It is a peer-to-peer marketplace for buying and selling BTC based out of New York City. The platform offers more than 300 payment methods to choose from, including that of loaded gift cards, making it one of the most unique platforms on this list. 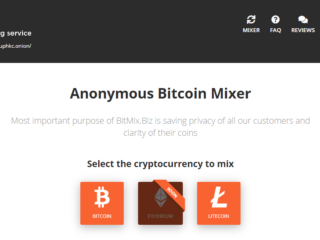 Also, apart from LocalBitcoins, this is the only platform which offers both buying and selling options, which is another great feature in itself. It is important to note that Paxful is an open service. Hence, there may be many scammers trying to steal money. To ensure a safe exchange you should choose a seller prudently and always pay attention to the user’s reputation. 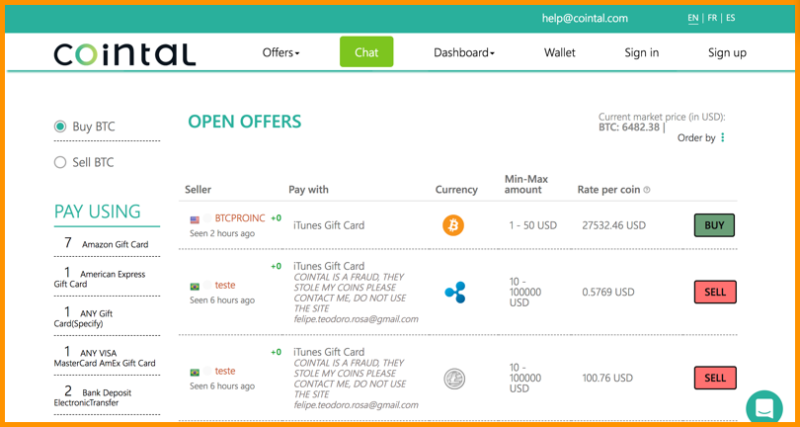 The Coin Portal (Cointal) is another peer-to-peer cryptocurrency marketplace where one can buy not only BTC but Ripple and Ethereum too. 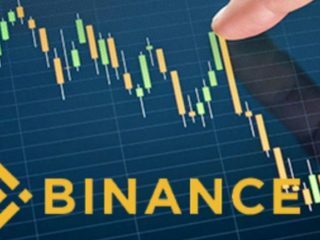 The company’s objective is to simplify the purchase of cryptocurrencies by connecting sellers with buyers, and offering endless methods of payment. 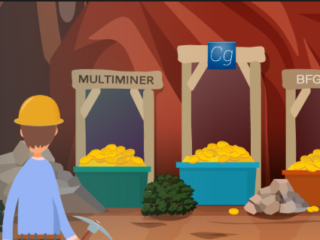 Here you can buy crypto assets not only with a gift card but also with PayPal, Google Wally, and many more digital wallets. Purse.io is an escrow service and an online Bitcoin marketplace. It offers three services: Name Your Discount, Purse Instant, and Purse Merchants. Name Your Discount is Purse’s most popular feature. It matches buyers, who want to buy BTC, with spenders who are looking to spend coins. The discount comes from buyers who exchange their Amazon credit for bitcoins. Gift card credits are hard to exchange, and Purse helps add liquidity to the market. Buying items on Amazon for someone else is an easy way to get bitcoins in return for the gift card credit that buyers don’t want. Purse instant offers customers a 5% discount on any item on Amazon, with free 2-day Amazon Prime shipping. The discount is less than using Name your Discount but offers customers an easy and fast way to buy online from Amazon. 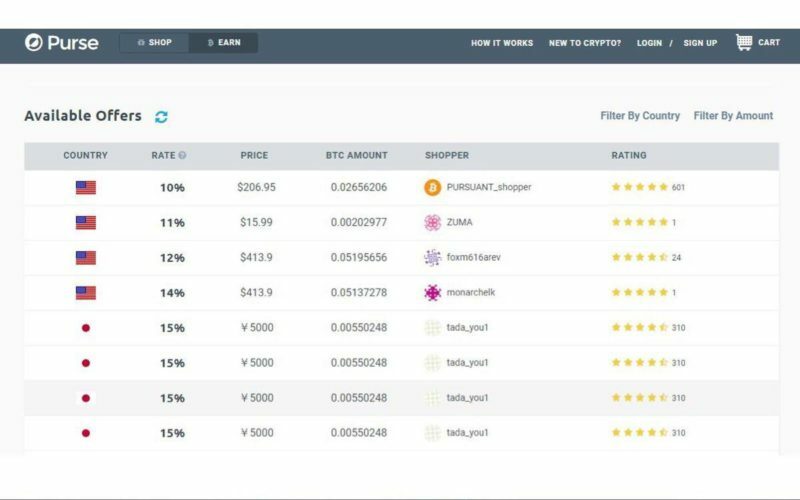 Purse Merchants makes it easy for anyone to create an online store that accepts BTC. Like eBay, Purse created a centralized database that makes it easy for buyers to spend their coins. Purse Merchants is a cheaper alternative to eBay, as its free plans allow merchants to sell unlimited items for just a 5% fee. Large merchants can pay just $20 per month and 1% per transaction. There is another way to sell a gift card. You can sell it directly to Purse Company. It is less beneficial if we are talking about money, but the deal executes instantly, so you get money quite faster. Coincards.ca is a subsidiary of Stuff Technologies Inc. and is Canada’s leading crypto to gift card exchange platform, offering gift card options from more than 300 recognized brands. Coincards.ca allows users to buy gift cards now using Dash along with Bitcoin, Litecoin and Dogecoin, while also featuring Shapeshift integration to allow for payment with other coins. Additionally, the platform is rapidly gaining a following and popularity due to the great exchange rates they offer. However, CoinCards is currently available only for Canadian residents. The rest of the world might have to patiently wait for a really long time before they plan to expand their business. 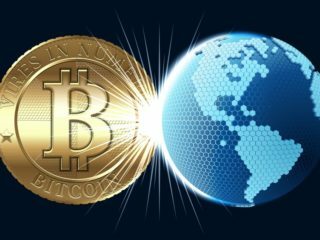 Bitit is a Paris-based company that makes buying bitcoin as fast and easy as possible, no matter where you are in the world. Buy from one of Bitit partners and get your gift card delivered by post or email. 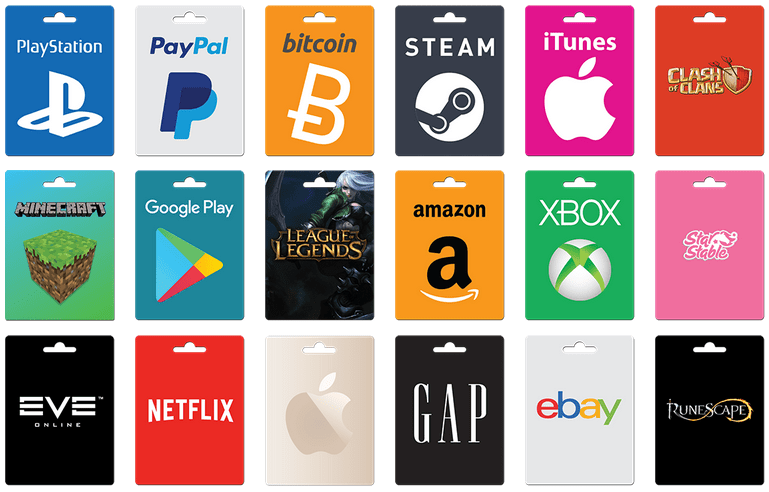 Redeem your gift card on bitit.io for the leading cryptocurrencies. Express delivery. Receive your cryptocurrency in minutes. Instant Bitcoins with 3DS Banking Cards, Sofort Banking and by cash with Neosurf prepaid vouchers. 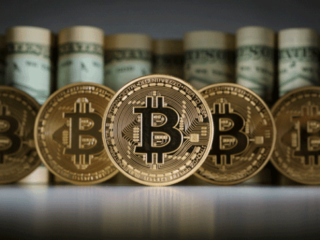 Get a full control of the Bitcoin exchange rate. Earns points for each order and get a discount on your next Bitit purchase. Make a great gift to family & friends. If a gift card is just kept in your wallet, you will not get any profit from this. 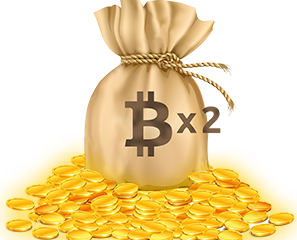 At the same time, if you exchange it for Bitcoins, you will get a digital currency that tends to increase its course. The constant influx of regulations by the United States government, coupled with the lack of feasible and convenient international buying options have only worsened the situation. But with the gift card method, you simply bypass all these restrictions and get direct access to your coins. Keep in mind that any card is a less liquid asset then cryptocurrency. Hence, it is no wonder that after exchanging the amount of cryptocurrency you will get less than the value of the card. 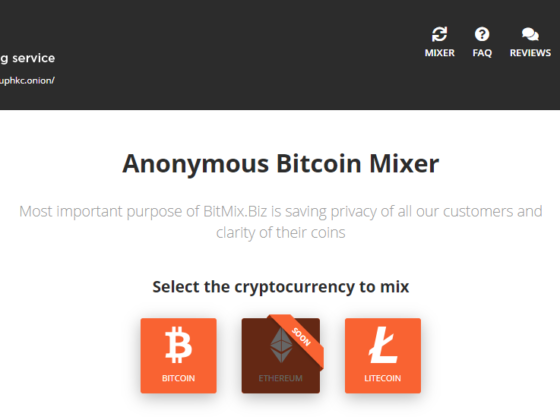 Remember that while LocalBitcoins and Paxful are both widely used, well respected and trustable websites in their own right, they can’t possibly vouch for every single seller or user on their platform. There are some decisions that the buyers need to take for themselves as it is practically not possible for the website to carry out background checks on each and every seller that registers on their platform.